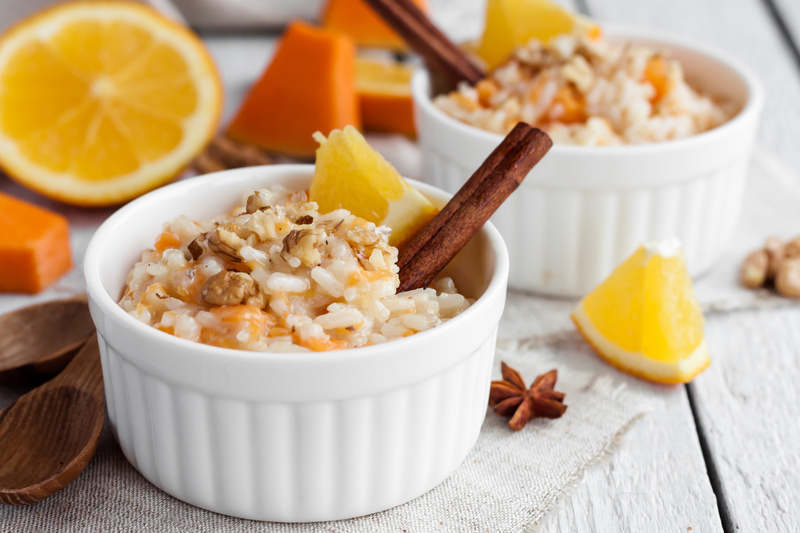 Fresh vanilla bean rice pudding with orange zest is a warm, comforting and vegan version of a traditional comfort food. In a medium saucepan, bring to boil the water, vanilla bean, cinnamon stick, and sea salt. Add the rice, cover and simmer for 15 minutes. The rice should be soft but not completely cooked through. Remove from heat. To the rice, add the almond milk, brown rice syrup, and maple syrup. Stir well to combine. Cover the saucepan and place in the oven for 35-40 minutes, checking and stirring after 15 minutes. Remove from the oven, and allow to sit for 10 minutes. Remove the vanilla bean and cinnamon stick from the rice pudding. Stir in the orange zest. Season with additional ground cinnamon or maple syrup, if desired. Transfer the pudding to a large bowl, cover the surface with plastic wrap, and chill in refrigerator. Serve cold.